Swollen Members has teased me for years with single after single for previous albums alluding to that elusive and dark sound that harkens back to their debut effort, Balance. What kept on happening is the singles would all ring true to that “dark” formula, but those previous albums would fall short of the overall sound that I craved. Sometimes it’s not fair to judge an emcee or a group on that original sound as things are supposed to evolve. But I am only human, and in the case of Beautiful Death Machine, Madchild, Prevail, and Rob The Viking have come full circle. It doesn’t take long to hear the not so subtle nuances directed back to the trio’s first album. On Inception, Prevail and Madchild both use references from their first album such as the “Circuit Breaker” and “Follow my lead and walk towards the light. It is I who encompasses doom consuming fright. ” They wrap these references around well thought out verses and the stark electronic boom bap of Rob The Viking. I’m narcissist, sociopathic tendencies / Stumbling, I’m a junkie with an opiate dependency / The devil wrote the contract, gave me contingencies / Wrote my name in blood but woke up without remembering / Yeah, welcome to the human source / Scriptures from the Bible cataloged in Roman numerals / First I find a fraud / Then I go kind of hard / I’m not a Satan worshipper, I’m a child of God. Prevail has always been one of the more intelligent emcees but he also is a master of internal rhyme scheme and making the listener go back and relisten to his verses due the unrelenting cleverness. He has a a creativity in his lines that’s difficult to associate with another of his contemporaries. Swollen Members helped to create the independent music scene that we see today. Their album, Balance, was one of the first indie hip hop CDs I owned along with Company Flow’s Funcrusher Plus. Beautiful Death Machine takes the music we heard on Balance and updates it to create a more contemporary sound. Madchild in particular sounds rejuvenated. His trials have been well documented. This album alludes to the fact that a healthy and focused Madchild is a dangerous emcee. This album has also put all the pieces together that were missing in previous efforts. Rob The Viking constructed an ominous soundscape throughout the total of the twelve tracks. Madchild and Prevail show that their skill and chemistry has not eroded over the course of time and difficulty. After hearing their recent endeavors, it may not have even hit it’s apex. 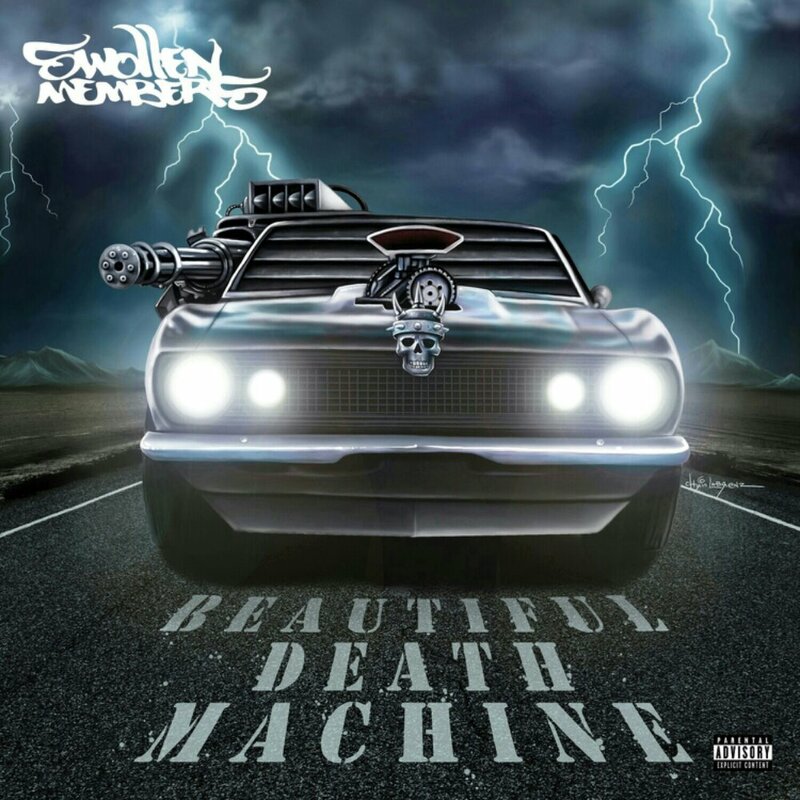 In closing, Beautiful Death Machine is the sure shot album Swollen Members fans have been waiting for.